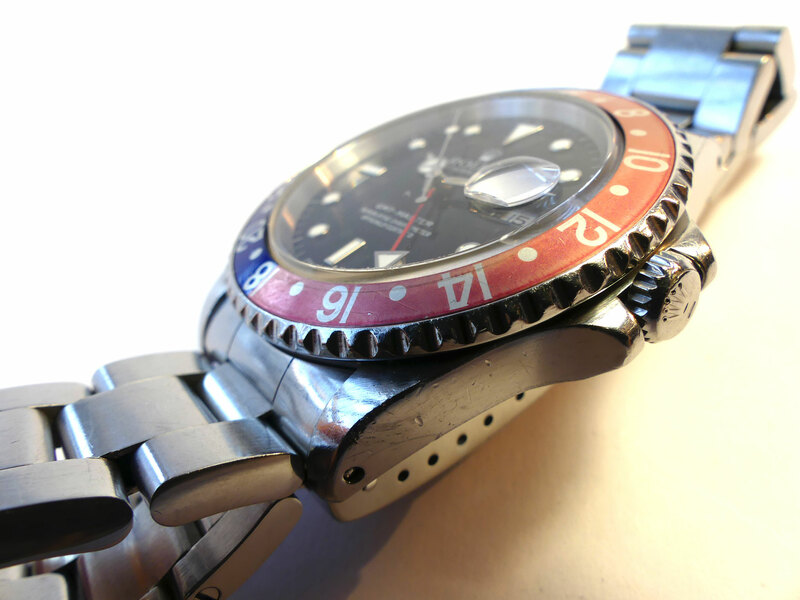 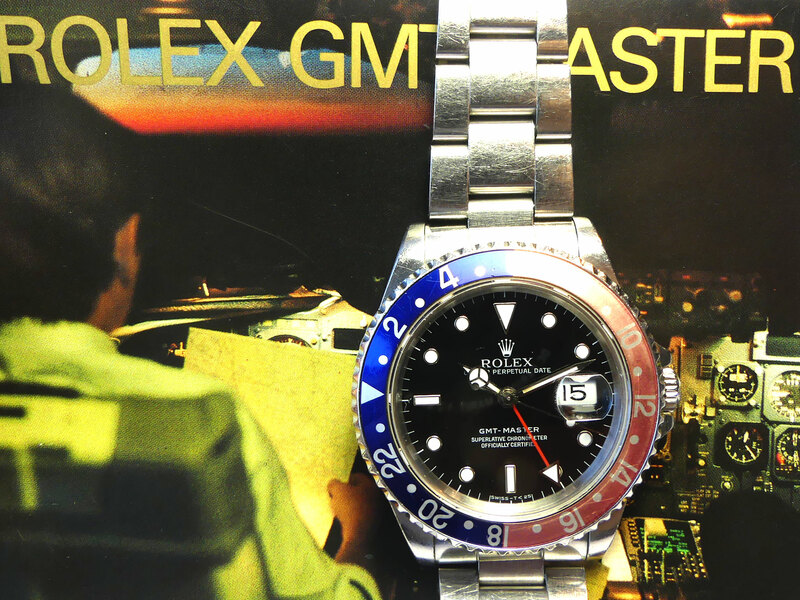 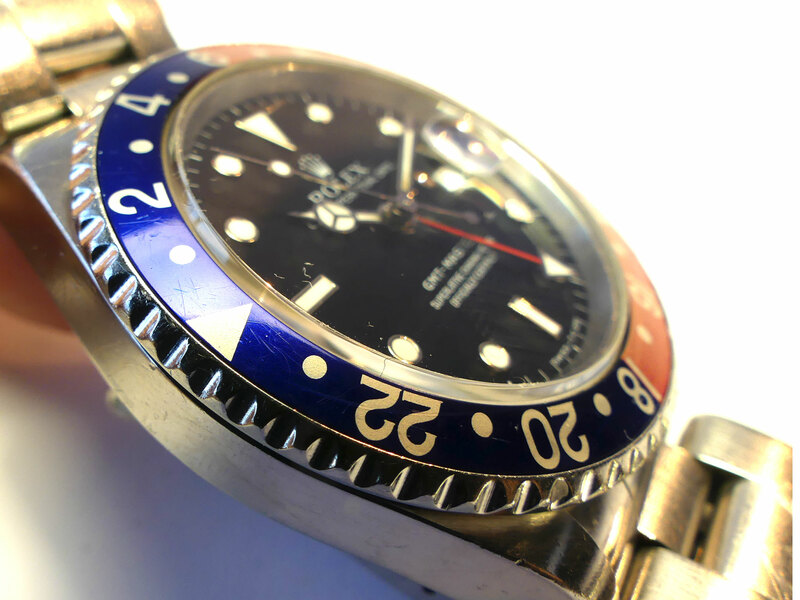 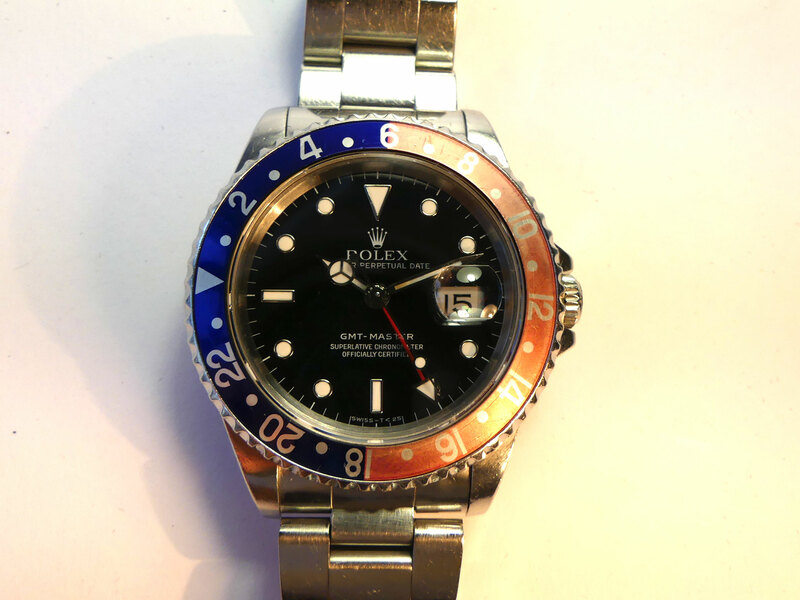 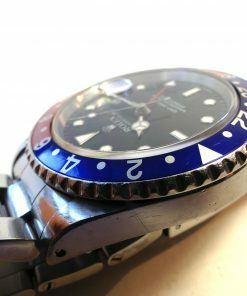 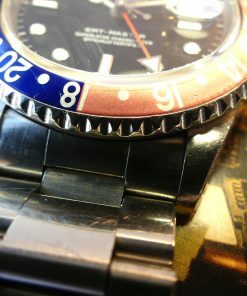 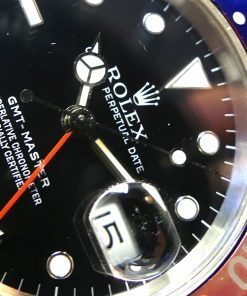 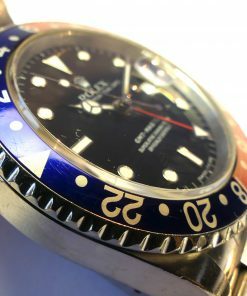 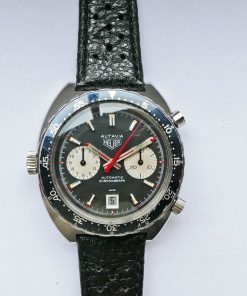 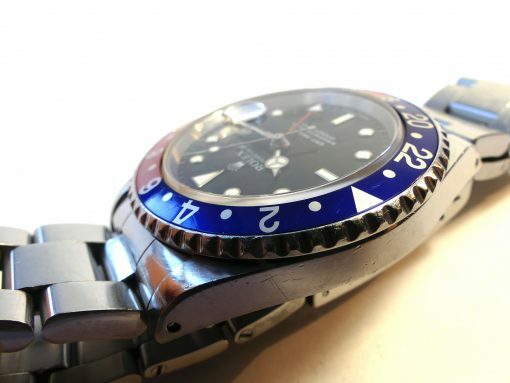 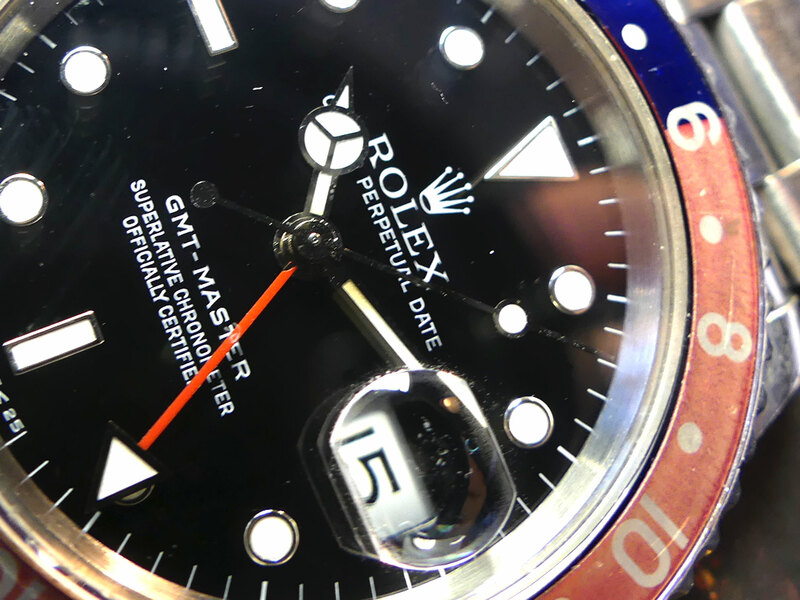 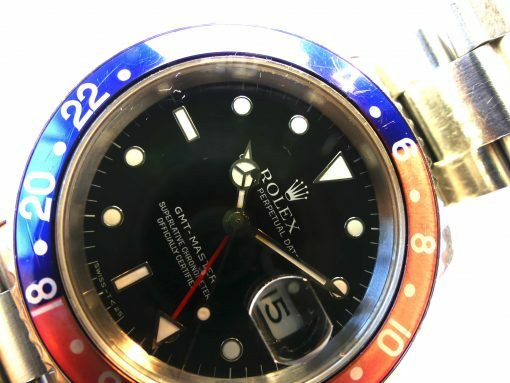 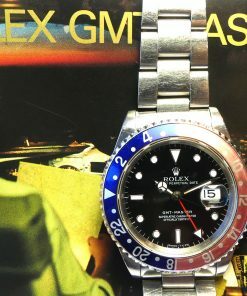 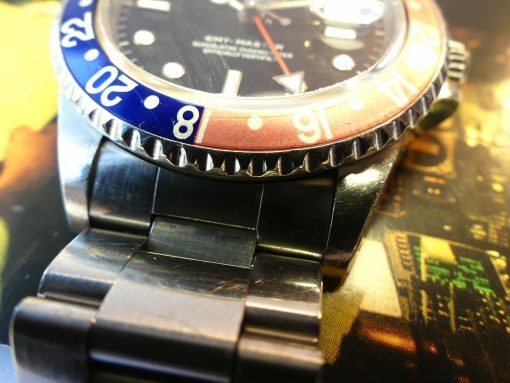 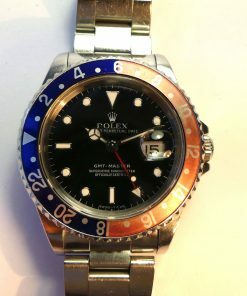 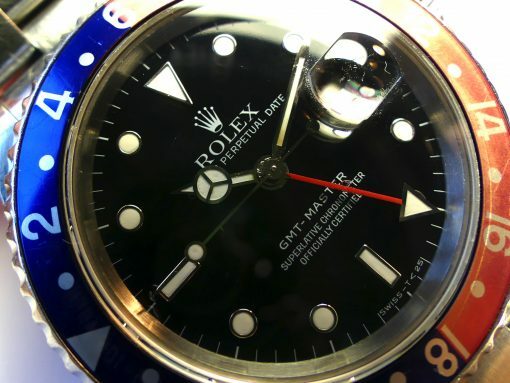 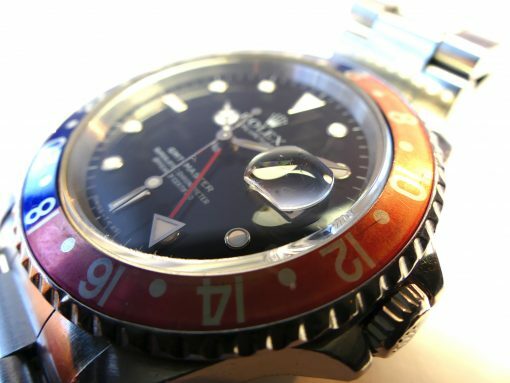 Wonderful condition Rolex GMT – in great demand – this remarkable timepiece with ref. 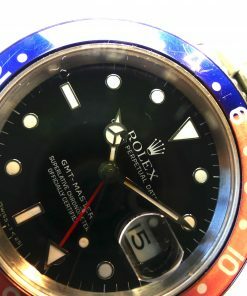 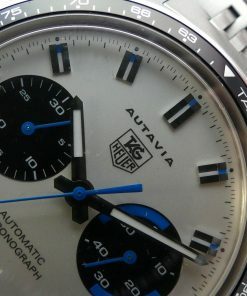 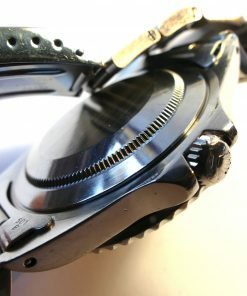 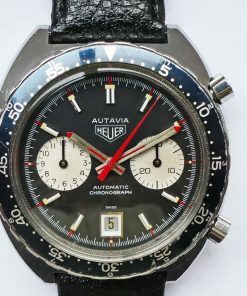 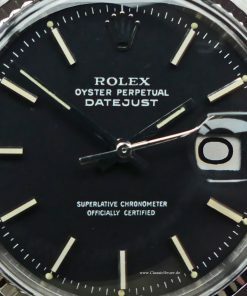 16700 has got the movement Rolex calibre 3175. 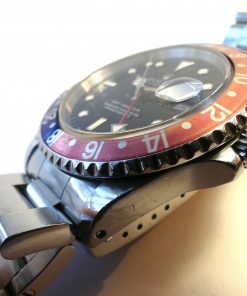 Fantastic working condition. 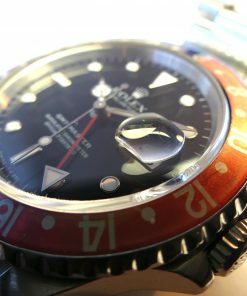 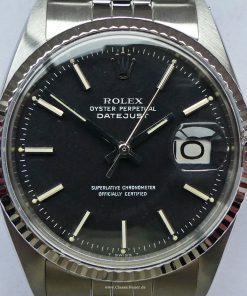 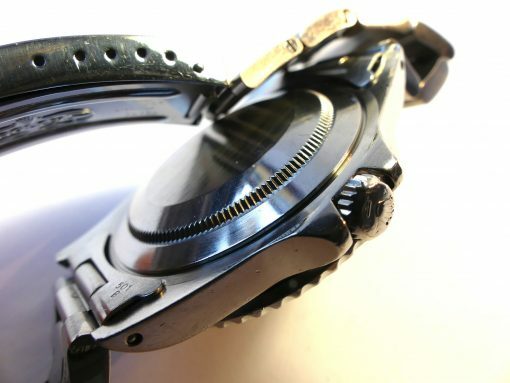 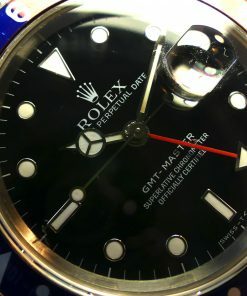 The Rolex has a perfect black dial with cyclop date and pepsi bezel – Pink Lady describes the bezel patina. 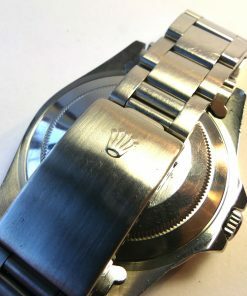 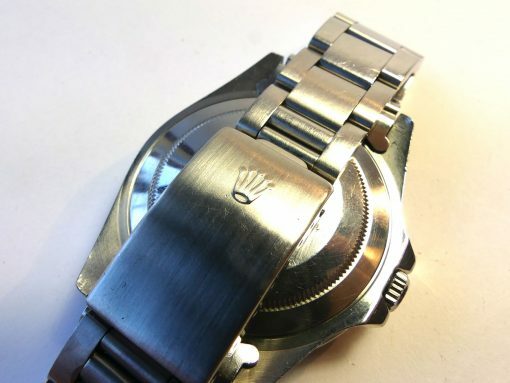 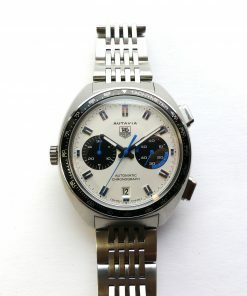 Original Rolex stainless steel bracelet – set with box and papers.